Are you thinking about refinishing or painting an old buffet or china cabinet? Maybe you're considering painting it blue? Come see how we tackled our DIY Blue Painted Buffet and learn some tricks along the way! Hi Friends! I hope you're having a great week! 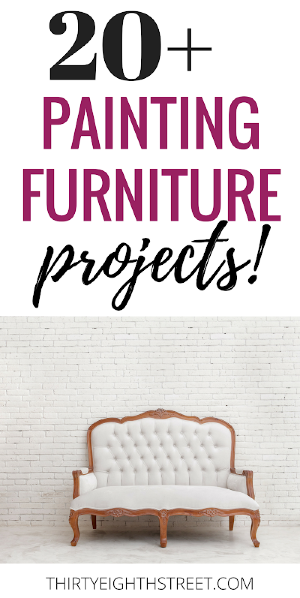 I'm right smack in the middle of compiling a Painting Furniture Idea resource guide that will give people a chance to see what their furniture could look like in a particular color family. 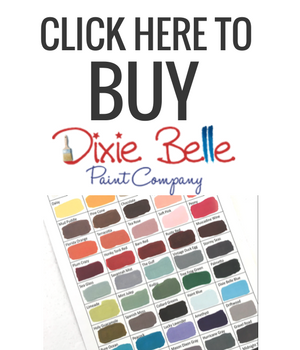 If you struggle with visualizing paint colors and the potential of your furniture painted, I hope this will help you. Stay tuned... I can't wait! 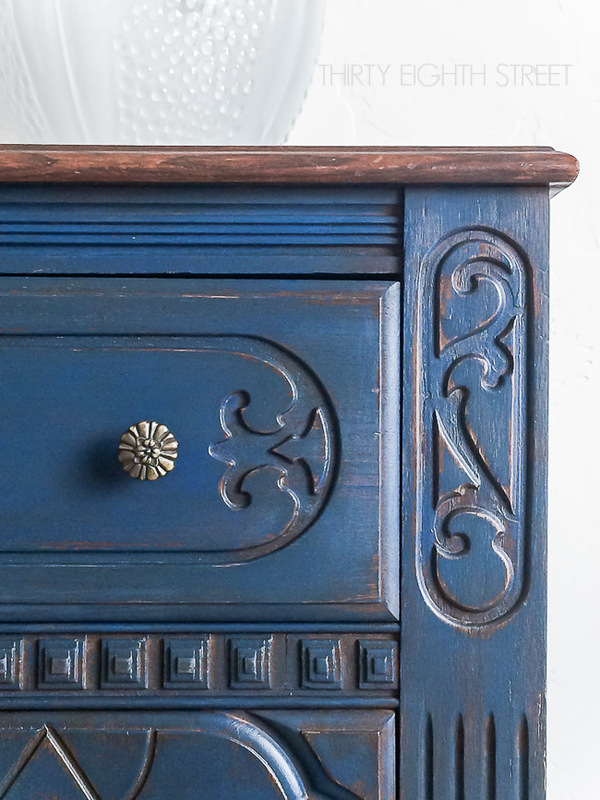 Here's a sneak peak at our blue painted buffet from our painted furniture makeover series. Disclaimer: This post may contain affiliate links to products I love and use every day. This means that I receive a small commission for purchases that are made through these links. I only share products that I use and LOVE! You can view our full disclosure disclosure. Country Chic Paint provided us with the paint to complete this makeover however, the opinions and thoughts expressed within this post are 100% our own. I was up late one night scrolling through our local Craigslist ads when I happened upon a photo of an old wood buffet. In fact, I think I might have even let out a yelp. I hadn't seen anything like it before. Truly a one of a kind type of piece. I immediately sent out an email declaring my interest in this piece. And then I fretted about it. How many other people had contacted him already? Surely, everyone that saw this piece was just as giddy as I was? As I laid down to go to sleep I was envisioning crowds of people throwing their money at the owner yelling, "Pick me, Pick me!" Silly, I know. It was just a buffet. But, my heart was totally pitter-pattering over it. The next morning came and I woke up early to find an email response from an older gentleman. His response was sweet and his story was lengthy. I discovered that this buffet belonged to his 80 year old sister and that she had had it in her home for years and years and years. I knew this wood buffet was old and it had a lot of history. The lovely stories he told combined with those beautiful carvings made my heart skip a beat. I was thankful to have the opportunity to acquire it. I didn't exactly love the wood grain. And I didn't love the fact that those gorgeous carved details were hidden like a wall flower. My eyes gravitated towards the grain of the wood instead of the details on this lovely buffet and I knew it had the potential to become even prettier then it already was. I was in love with the potential that this buffet had. And I knew that the only way to make those details pop was to paint it. There will be some antique preservationists that will be annoyed with what I'm about to say and that's okay! I'm a firm believer that if you don't love a piece of furniture you should change it, so that you can love it. I'd much rather devalue a piece of antique furniture by painting it then holding onto the monetary value and not personally enjoy it. I don't advocate to paint every piece of wood furniture. But, if you're going to bring something into your house to enjoy, then you ought to enjoy it! Painting this old buffet was going to make the carvings the star of the show. We painted the base coat in the prettiest shade of blue. It's called Midnight Sky from Country Chic Paint. If you like this shade, you'll probably love General Finishes in Klein Blue as well! The first layer was applied lightly and unevenly so that we could still see the original wood finish peak through. We have a special way that we like to apply the paint so that it gives our pieces a naturally worn look. You can read all about our easy natural distressing technique here! After our base coat was dry, we added another layer of paint. Only this time we mixed Country Chic Paint's Midnight Sky and Vanilla Frosting together to create a slightly lighter version of the original base coat. We used this second color to highlight a variety of areas in this piece using this dry brush technique. I like to use these chip brushes for this kind of highlighting. The original top was in such great shape that we left it in its natural state. 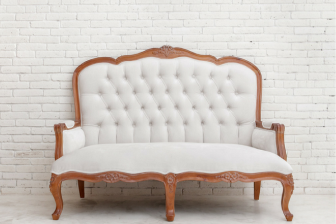 We preserved a little history and charm while giving this piece a whole fresh new look. And those details!? They are no longer competing! What a win-win! What do you think? Do you agree with my decision to paint it? If you look really closely at this photo, you can see the different paint colors layered on this buffet. Would you believe that we didn't use an ounce of sandpaper to distress this piece? Nope. Nada. Not even a smudge of sandpaper! We used paint to distress it. I know. That sounds crazy, right?! 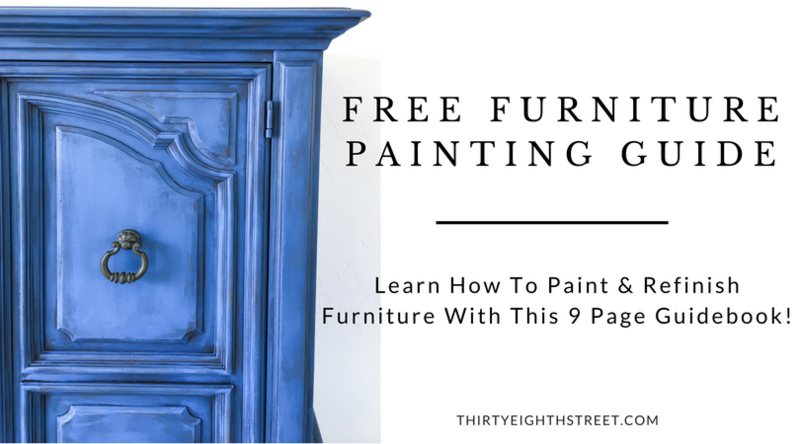 How do you use paint to distress furniture? It's our natural distressing technique that we mentioned earlier in the post. 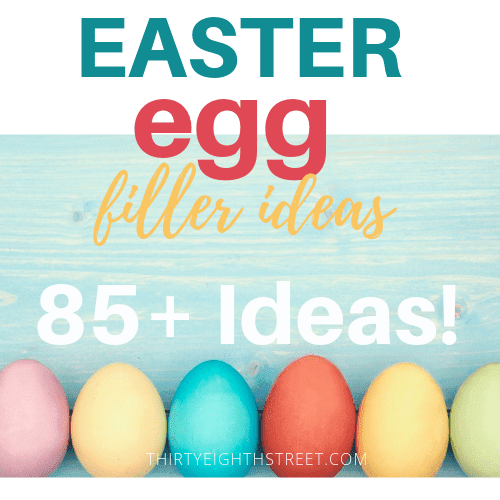 It's so EASY and one of our very best tutorials- it's definitely worth checking out and/or pinning for later! 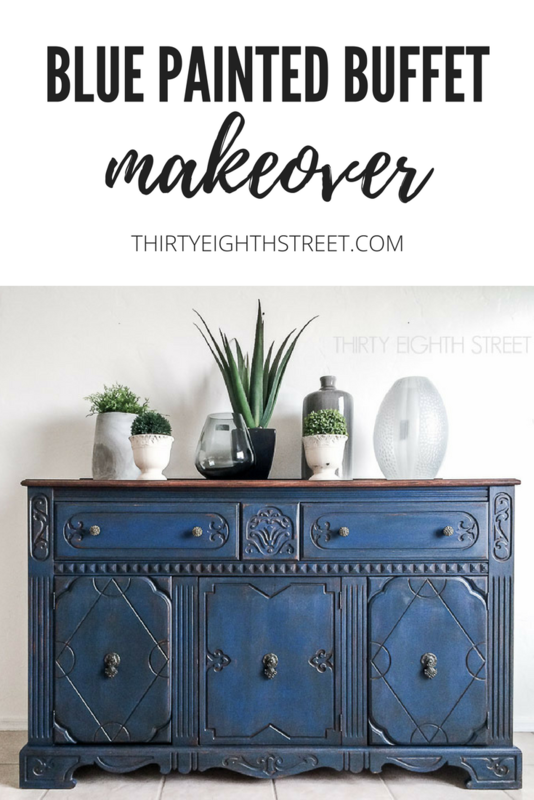 If you gravitate towards blue painted furniture pieces, check out our Modern Blue Painted Nightstands or our Painted Blue Console that we re-purposed from a china cabinet! 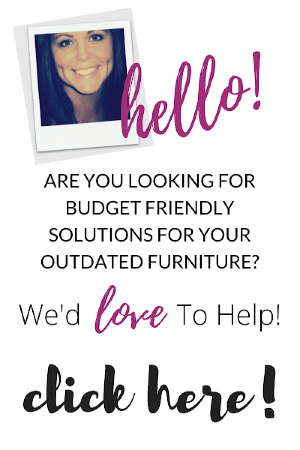 Here you'll find our very favorite furniture paint and furniture refinishing products! 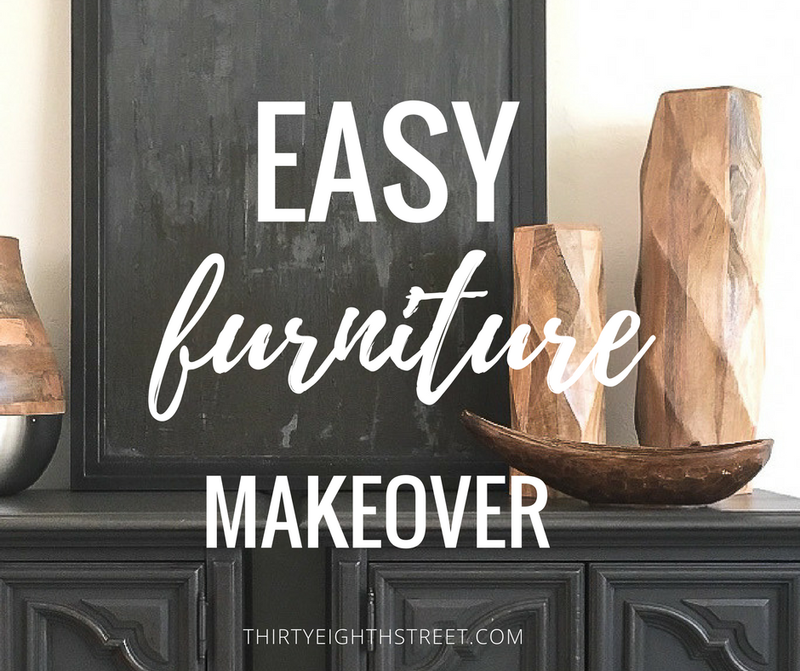 THIS Furniture Makeover was ALL ABOUT THE COLOR! 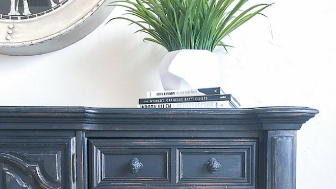 5 Fantastic Ways To TRANSFORM Your Old China Hutch! Oh my gosh this is just lovely! I love the blue color and the depth you created with it. And I'm a sucker for painted and stained. Truly stunning! Thank you for stopping by- I'm so glad you enjoyed the makeover! I believe like you do, if the piece will be enjoyed because it was updated with paint then paint it. Plus the details on this piece are beautiful and your paint color and techinque enhances the them. The buffet is absolutely beautiful! When I was younger I was totally against painting wood especially antiques but not any more. I think painting can bring a piece of furniture alive. Your buffet is proof of that. The paint brings out the beautiful workmanship that was lost in the wood. Great job! There is absolutely times when its best not to paint vintage pieces. You're right, you have to take them on a case by case basis! Thank you for your kind words, Pam! Have a great weekend! Oh my goodness this is absolutely stunning!!! I'm a little bit obsessed with blue! ;) Thanks, Lynn! Every time I see one of your pieces, I think it is my fav. This time is no different. I love the color layering. It is so subtle, but so very effective. So artful! Well done, Carrie! I feel the same way. You should love your furniture and paint it if it doesn't make you happy. I think the new color brings this piece some new life. Right!? Nobody wants to look at something they don't love for the chance that it might be worth more down the road. Thanks for your lovely comments, Erlene! Carrie, when I first saw this piece in the before picture, I didn't think much of it at all. You are right, there was too much going on, and I couldn't really see the beauty in the carving. That is totally changed once you've done your paint technique, The Carving stands out beautifully and I love how you can still see some of the wood tone through the blue paint. What a stunning piece. Can't wait to see your resource guide, what a great idea. These detailed carvings were so fun to distress! I'm glad you liked it! Wow. That is beautiful! What an excellent makeover you've given it! It looks like an entirely different piece of furniture. My mom and I love doing projects like this one together. 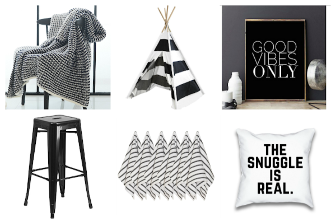 It's so fun to make them to match/compliment a specific space. How fun that you get to do DIY projects with your mom! 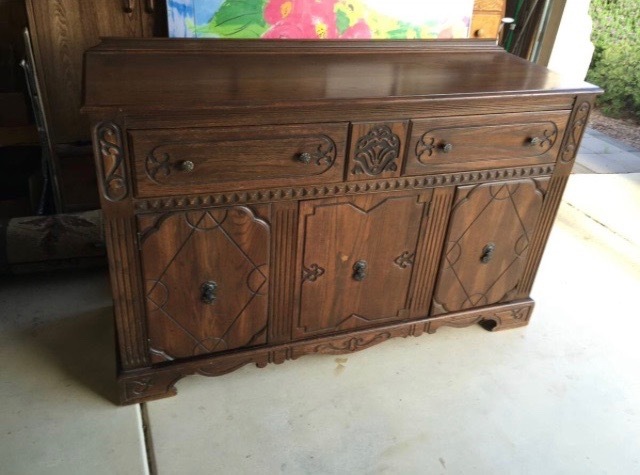 This hutch has gorgeous detail and the color you pick is stunning. Thank you for sharing at Dishing it and Digging it link party. I love that you stopped by. Have a great week. I too am a firm believer that if you don't love it you should change it. After all it is your home and you should be able to look at things you love. And this beauty is no exception. Love that color and the tones. That's how I look at it too, Mary! This is a beautiful piece! I love the blue color and the transformation is just wonderful. Thanks for sharing at the Family Joy Blog Link Party this week! Thank you, Melissa! This blue paint color is one of my favorites! Thank you for sharing our work, Sharon! Gorgeous! I agree that if you don't love something about a piece of furniture it's great to change it. Thanks for sharing your lovely buffet at Snickerdoodle. I'll be featuring this at tomorrow's party. Hope to see you there! Thank you for sharing your thoughts, Beverly! I'm glad I'm not the only one that feels this way! This is one of the few times I'd absolutely agree with painting a piece. The details didn't stand out before. There are loads of pieces where the grain is the pièce de résistance. 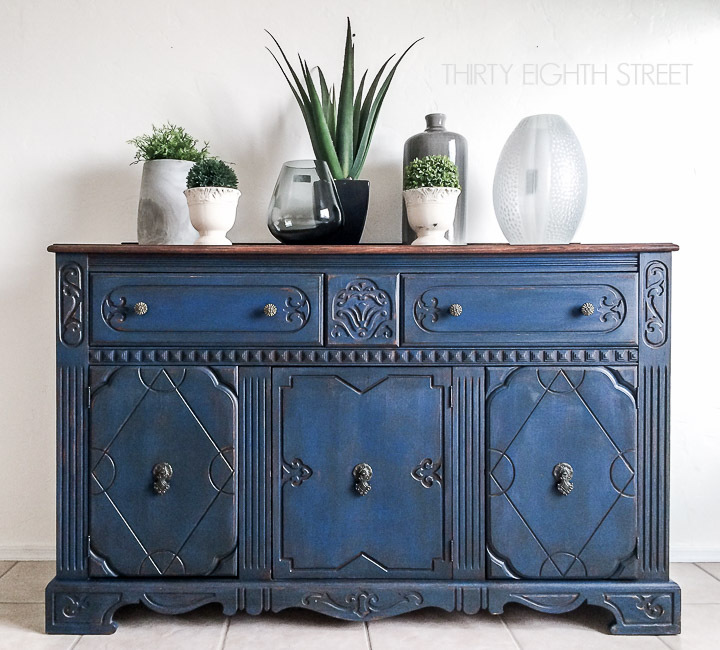 This buffet truly stands out in a stunning way with the paint finish you gave it. Thank you! These lovely details were just asking to shine! My late husband would not hear of painting wood pieces. We had many fine pieces of furniture that his mother had given us, which I never, ever liked. If I could have painted them, I would have LOVED them, so sometimes, people have to be flexible. It's so hard when those pieces are sentimental! Just wanted you to know that I pinned this and I featured it on my Create Link Inspire party at rachelteodoro.com. Thanks for linking up. Can't wait to see more! Thank you for sharing our work, Rachel! Love how this turned out!! It really is a statement piece and sure to have a few jaws drop upon walking into the room! I love the blue carved details too! Thanks, Sam! Quelle merveillel .. Ce bleu de Chine est superbe et sied à merveille à ce meuble ;.une transformation réussie! I wouldn't have thought that I would like this color of blue on furniture, but I'm loving it! Gorgeous redo! Thanks for linking up at The Pretty Pintastic Party! I've chosen your post as a feature for the party next weekend! I hope you'll stop by, grab a featured badge and link up some more amazing posts! The paint color is pretty striking. I think it's on of my favorites! Absolutely gorgeous piece and you have taken it from interesting to fabulous!!! Thank you for sharing this. This is my favorite color of the moment and I now might just take the courage to tackle a furniture project. Thank you, Michele! So glad to hear you've been inspired to take the leap! I think you'll be happy with this color! Love, Love, Love it! Did you use any wax? Thank you, Sue! I protected this piece with a polycrylic top coat. Hi I would like to know how much chalk paint you used for this project please? Thanks! A little bit goes a long ways especially since I didn't paint the top of the piece. I think I used a little bit less then half of the container. Love ,love ,love it.Stunning indeed.Thank you for sharing. So glad you loved this one, Bev! We have this exact same buffet (going on 33 yrs!) and have added a beautiful oak barley twist pole mirror to it. I really do love the paint color you put on yours but I think I would have a super hard time getting my hubby to agree to painting ours! For the second coat, what ratio of Midnight Blue and Vanilla Frosting do you use? Love this color and want to get it as close as possible. Thanks! Hi Sheena! It was minimal. I wanted the highlights to be subtle. So, I added maybe 1 part Vanilla Frosting to 4 parts Midnight Blue. I hope that helps!